Security is a primary concern for businesses that take advantage of the cloud, but the industry often dictates to what extent a business is concerned about cloud security. 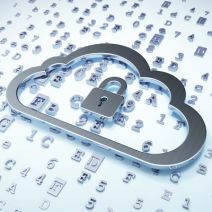 Yet, despite the varying cloud needs of industries, there are several variables that should be addressed when thinking about cloud security, including data permissions, account compromisation, and, of course, malware and other common online threats. Account compromisation: How secure are your accounts from being infiltrated and taken over by hackers? You particularly need to be wary of administrator accounts being compromised. If hackers manage to get into your network with valid credentials, they won’t set off any alarms for your security solutions, meaning that they’ll essentially have free reign until the problem is resolved. To this end, it’s crucial that you make your passwords as secure as possible by using upper and lower-case letters, numbers, and symbols. Cloud malware: Is your cloud solution protected in the same way that your business’s in-house network is? You should be taking advantage of a Unified Threat Management (UTM) tool for your cloud infrastructure. A firewall, antivirus, content filter, and spam blocker will be exceptionally potent to protect your business’s cloud data. Excessive data exposure: Who within (and outside) your organization can access the information that you’re storing on the cloud? For example, some employees shouldn’t be able to access financial records or personally identifiable information. In this case, you’d be exposing too much information to users who shouldn’t be privy to it, which makes it all the more likely that the data could be exposed to internal and external threats. Limiting who has access to critical information is a crucial step to take when considering your cloud’s security. Over-exposed personally identifiable information (PII) and payment card information (PCI): In other words, is your data complying with the various laws and regulations surrounding the collection of sensitive information? Do you collect information like credit card numbers or health records? If so, you’ll want to revisit how you store and manage this data, as your business could be subject to harsh fines should they be stolen or corrupted by hackers. Collaboration: Again, this returns to the ability to keep those who need access to critical information in the loop, without putting that information on the line. It’s up to you to make sure that your team isn’t sharing information with others who shouldn’t have access to specific information. While it’s important to consider that your business has more specific industry standards to focus on for cloud security, it would be counter-productive to write off these five overarching trends. If you’re unsure of what kind of cloud security your business needs, we’d be happy to lend you a hand. For all of your business’s cloud security needs, you can call Tektonic at (416) 256-9928.